An all round mobile computing workhorse based on the latest platform with advanced graphics solutions, the F8 is sophisticated inside-out with robustness, state-of-the-art computing technologies and unique aesthetics. The Infusion Technology is a cutting edge manufacturing process used to produce the unique designs laptop surfaces. Being inlaid within the chassis itself, the motifs are an integral part of the entire laptop and will not fade with time. The Infusion surface also provides a new level of resilience, resisting scratches while looking sleek that the notebook is not only a trusty companion on the road; it also offers greater pleasure to work with. Equipped with a Hybrid TV tuner, the F8 gives the user maximum versatility with the ability to take advantage of both digital and analog signals. A card type remote control is incorporated, in line with the chic portability of the F8 lifestyle, giving the user the ability to take charge of entertainment while being easily carried. In addition, a built-in swivel webcam allows instant high-resolution face to face communication without the hassle of external connections and messy wires. The F8 is equipped with latest Intel Core2 Duo processors, up to 2GB of DDR2 memory, DirectX 10 support and a choice of the most powerful graphics processing systems currently available: the world’s first ATI Mobility Radeon HD2600 or the NVIDIA GeForce8600M GS, each graphics engine stocked with 512MB and 256MB of physical VRAM, respectively. This entry was posted on August 13, 2008 at 2:09 pm	and is filed under Asus F8 Infusion. 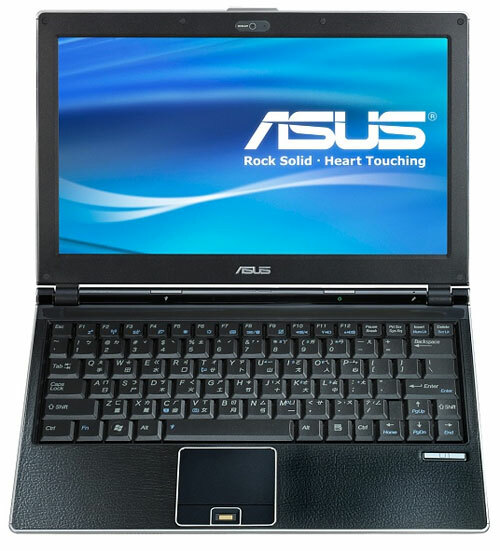 Tagged: Asus F8 Infusion. You can follow any responses to this entry through the RSS 2.0 feed. You can leave a response, or trackback from your own site.